Shocker, the weather folks got it wrong….. Rain changing to snow with the possibility of and inch or so on the grassy surfaces was the forecast yesterday. 8” of snow later and 12 hours without power is pretty much how it went. Thankfully, Jack and his crew maintained hope that sunny and 50 degrees would come to fruition today–and it did! 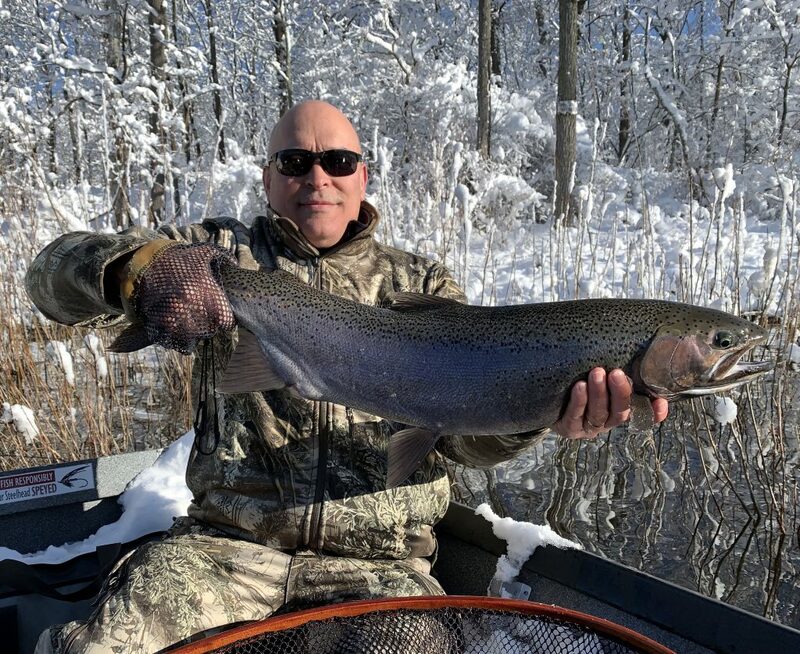 Despite the inconvenience of the significant snow, it surely provided a stunning backdrop for our spring steelhead trip today. Pictured is Jack with a great hen steelhead this morning.